View of Mt. Kinabalu from Himbaan Gardenstay, Bundu Tuhan, Ranau. About three months ago, my colleague and I sat in a café talking about situation at work that was putting too much pressures on us. I mean we may be single ladies or singletons, but we are just human like everybody else and we do have other commitments to mind besides work. Being born as a second child, we understood each other’s character and we got along pretty well. We had gone through a lot as colleagues these recent years, only to realise in 2018 that we needed a break before the work got the best of us! 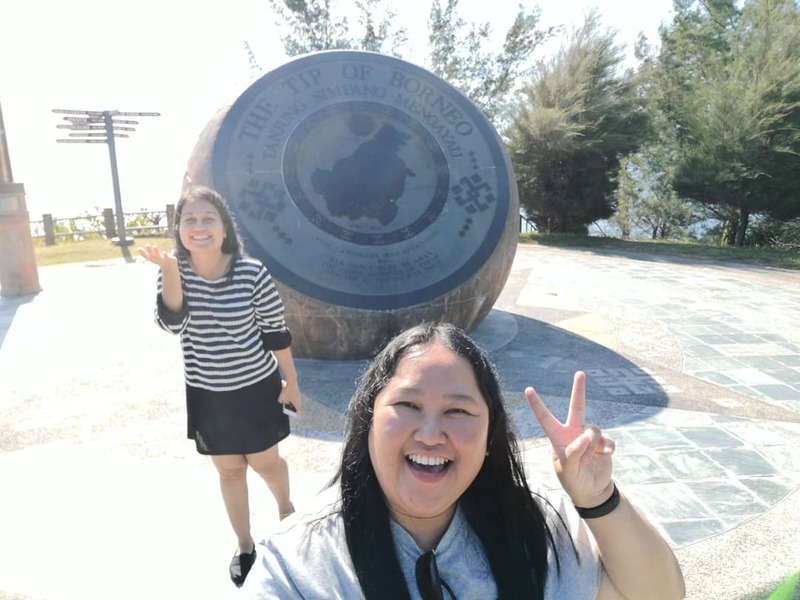 So, we decided to go on a road trip to Sabah instead of getting there by air. We planned not to rush the entire journey but just to relax and take our own sweet time to enjoy the sceneries. Besides, there was no better time to do it other than before the Pan Borneo Highway construction was completed. The routes and landscapes from the South to the North of Borneo will definitely look and feel different in the future. So, why not travel and experience it before things changed. I did the planning and ‘researching’ for the whole trip in order to minimise the inconvenience and to maximise our time exploring different towns along the way. To be honest, I had never driven beyond Miri my whole life prior to the trip. So, I had a lot of things to think and worry about. I asked friends and family for advice but I tell ya, experience was the best teacher. Of course I read blogs, reviews and articles while jotting all the important things in the notebook but reality only set in the moment we began the journey. As scary as it sounds for two female singlestons to go on a long-distance drive, wait till you take the wheel and head towards the parts unknown. Yeah, everybody thought we were crazy before the road trip, and people still thought we were nuts after the trip! LOL! Well, you know how bad is the current Pan Borneo roads, right? Worry not, we came home to our own family in one piece. 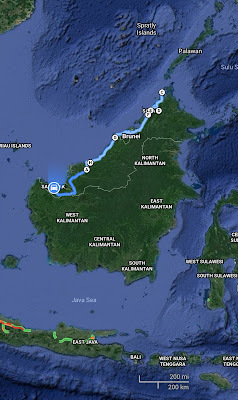 The whole trip took us eleven days to finish, from one end to the other end of Borneo Island and back. I started my journey from Kuching and later I met with my colleague at the Sri Aman-Kuching junction on the 2nd of June. She only drove from her home at Pantu to Jakar while the rest were done by yours truly – me. Anyway, I have to admit my co-driver was doing a great job at navigating us with the help of Google Maps. But upon entering Brunei, we had to rely solely on the printed maps for directions. Just a little reminder, the G-Maps is not always reliable, sometimes you need to depend on your wisdom to find your way, moreover in Kota Kinabalu. 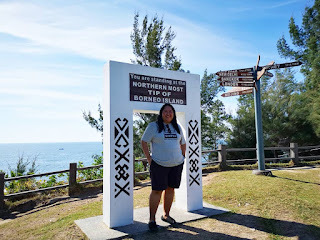 One thing I can agree with Cyril (Sarawak Bloggers Society’s President), Brunei was really lacked of signage to point you to your next destination, particularly from Miri towards Limbang. It was exactly like he mentioned it to me, as if the tiny kingdom wanted you to stay there a little longer. Yes, it is akin to camping stories about how some people keep circling the same spots, getting lost and never get out of the woods. That was what happened to us while desperately looking for Jalan Tanjong Maya. There was no signage at the junction that said ‘Jalan Tanjong Maya’, so you better look out for the Tasek Warisan signboard (painted in red and white colours) on the left side of the road along the Tutong-Telisai Highway. We drove pass the junction twice before I decided to ditch the G-Maps instructions, followed my instinct and chased after the only car with Sarawak registered plate (QLB). At this point, I did not care anymore about the speed. We eventually arrived at Limbang and continued the remaining journey with not much difficulties. I knew this part of the road trip would be challenging, so a printed map helped a lot in situation where there was no internet coverage. However, I was wondering why no one told us we could just scan the QR code at the Brunei’s customs check-points instead of filling in the form manually. 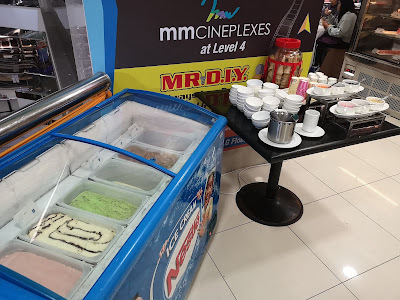 We only found out about this from a Brunei customs officer who patiently explained about the online application for the temporary exit/entry passes, it would help us to cross the borders swiftly next time. Well, there is always a first time for everything. That was a learning process right there. Of course I did a little online research after the trip and found out the QR code scan was only implemented recently, effective on the 1st of May 2018. To apply for the vehicle pass, click on this link http://bdnsw.gov.bn/Pages/VehiclePass.aspx . The pass is valid for three months. We did not print out the QR code, a screenshot was sufficient to cross the borders apart from using the passport. While we were at Sabah, we went to some touristy places. I think the most memorable ones were Kelambu Beach which was not far from the Tip of Borneo (Simpang Mengayau) and of course Himbaan Gardenstay. Perhaps next time we should stay a night at the beach and stay longer at Himbaan, Ranau. We did not go to any island this time, we reserved that for the next trip. In fact, we were lucky to be travelling on the 2nd to 12th of June as Kota Kinabalu was not that busy probably due to the long school holiday and festive season. We also did not go wild on gastronomic adventure although I was always inspired to travel and enjoy the local food by both Ian Wright and the late Anthony Bourdain. We had two meals a day since we were mostly on the road and exploring places. I lost weight after the trip because I was so focused on the journey. Good thing I had started the intermittent fasting a week before the trip, so I had no qualm on not eating much. I absolutely loved our stay at Himbaan and that was where I found my ‘summer fling’. Yeah, Husky. Expect yourself to be greeted by four furry friends if you happen to check in this place. The one I fell in love with was Husky. I have never met a dog like him my entire life. He was being chivalrous from the moment we arrived until we left Himbaan Gardenstay. He was following and guarding us the whole time. He stayed by my side while I was watching sunset and stargazing at night. He even slept outside of our room while we were sleeping. So friendly, so loyal and so protective. If only Husky was a man, I would pluck the flowers at the garden, go down on my knees and propose him to be my boyfriend! Kidding. Meeting Husky somehow healed me from whatever that was troubling me inside at the time. I lost my dogs before, so knowing him at this juncture in my life kind of helped me in moving on. Husky is one of the reasons why I will come back to Himbaan one day, apart from the amazing and scenic view of Mount Kinabalu. Gosh, how I miss Husky! There was one time I felt like kidnapping him. Just kidding. Sunset view of Mt. 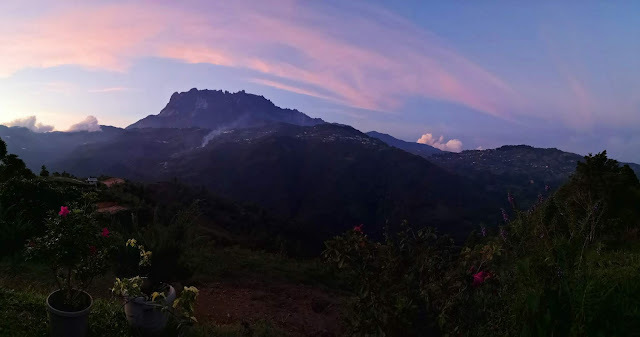 Kinabalu from Himbaan Gardenstay, Bundu Tuhan, Ranau. One for the memory, with Husky. 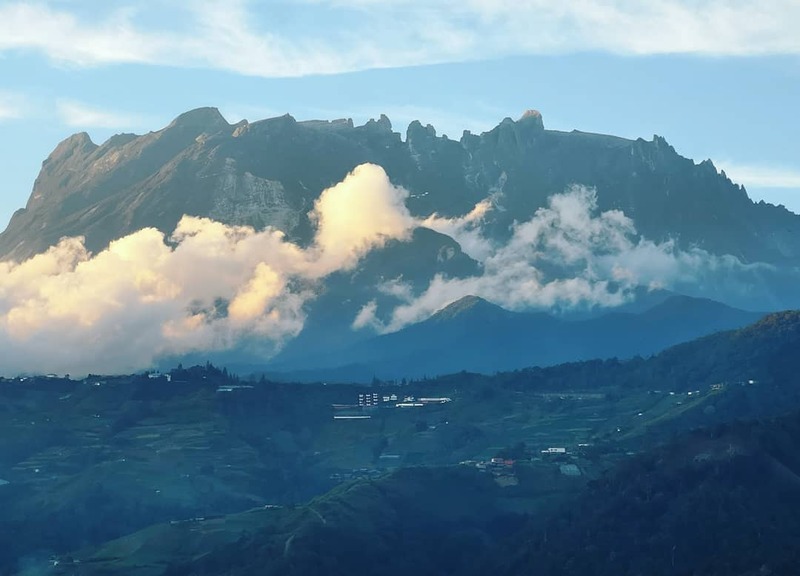 The ultra HD scenery of Mount Kinabalu was worthy of all the challenges to get to Himbaan Gardenstay despite the occasional mini off-road and kampung driving experience. 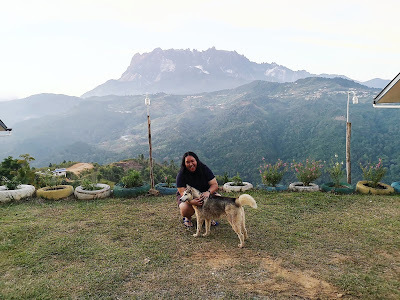 There were lots of deep potholes, steep hills and sharp turns, some cows too, but all those were soon forgotten when you arrived at the homestay. If you think driving up to Borneo Highlands Resort in Sarawak is level 9 in terms of difficulty, going up to Himbaan from Kota Kinabalu is level 99. Himbaan was the place where I truly honed my driving skills, so now the rest of the Pan Borneo roads are really no big deal for me. I used to constantly complain about the road from Serian to Sri Aman, now it just seems like a small matter. I do not encourage just anyone to do the driving to Himbaan, find someone who is brave and experienced. For a first-timer, be prepared for some shocks. Besides, check your tyres and brake before you head to Himbaan. Safety first. 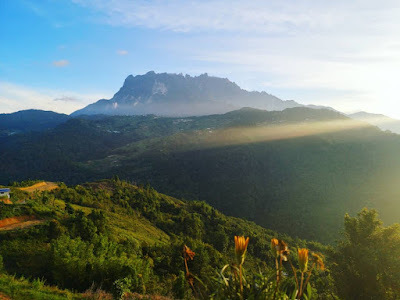 I woke up to this majestic view at 6.15 a.m.
Our maiden Borneo Island road trip had taken us to some towns such as Balingian, Sibu, Bintulu, Miri, Brunei, Limbang, Lawas, Kota Kinabalu, Kundasang and Kudat. We had done approximately 3,252 KM of driving in total and ended the journey in Kuching on the 12th of June. The estimated distance did not include the routes when we overshot the junctions and went for shopping spree. With the current roads, I have to agree with Cyril again it is better to do this long distance travel on a high power motorbike if you want to go fast. But if you just want to go on a joyride like we did, a pick-up truck such as Hilux will do. 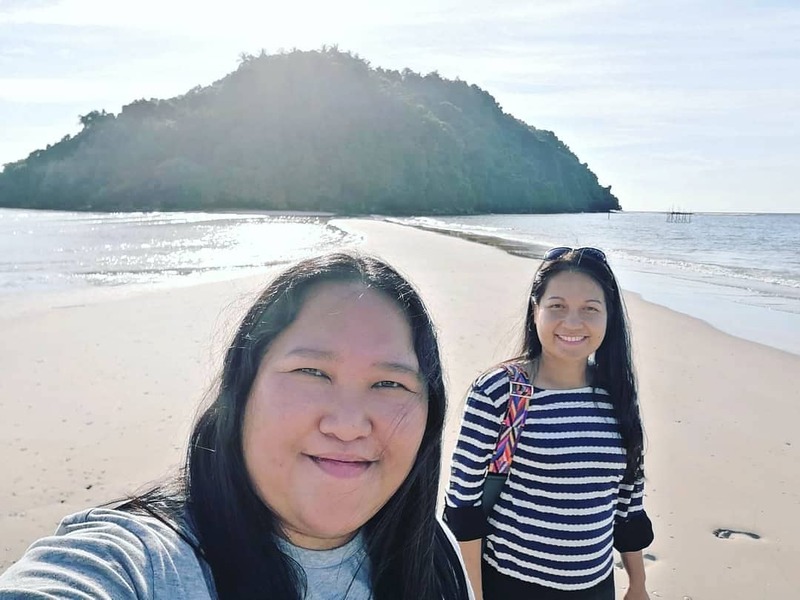 We drove a ten-year-old Toyota Vios for the road trip, so we could not go fast on most parts of the journey. I honestly learned a lot about myself throughout our road tripping. If you keep thinking about the risks and have fears, you are not going anywhere. I know there will be people who will have doubts especially when you are a lady. People will try to talk ‘some sense’ into you not to embark on this journey for safety reason. Look, I am very much alive and writing this blog. I came home safely and only to feel knackered a day after the road trip ended. Will I be doing this again in the future? Yes and I do not mind doing it as a solo traveller. Perhaps frequently when the Pan Borneo Highway construction is fully completed. May not be driving a car then, could be on a bike doing the Blowpipe Run! Nah, I am not crazy about speed or breaking a record. I always love going for a joyride, just chill, no rush, one town at a time. This year’s Ramadhan, Riverside Majestic Hotel offers Sungkei Ria Ramadhan Buffet at the Café Majestic Coffee House from 17th May until 14th June 2018. The buffet spread features mouth-watering Traditional Malaysian Kampung and International cuisines in a relaxing ambience and atmosphere. The price for adult is RM92 nett and for child is RM46 nett. 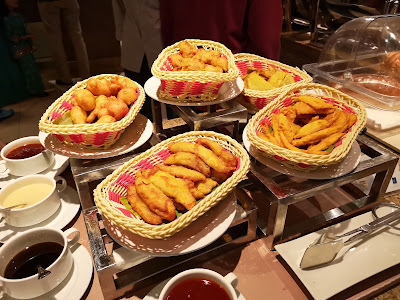 The buffet dinner is served from 6:30pm to 10pm daily. Do not miss the chance to get special price as low as RM69.00 nett per adult if you book online at www.riversidemajestic.com/deals. Sungkei Ria Ramadhan Buffet is a dining experience you should not miss. 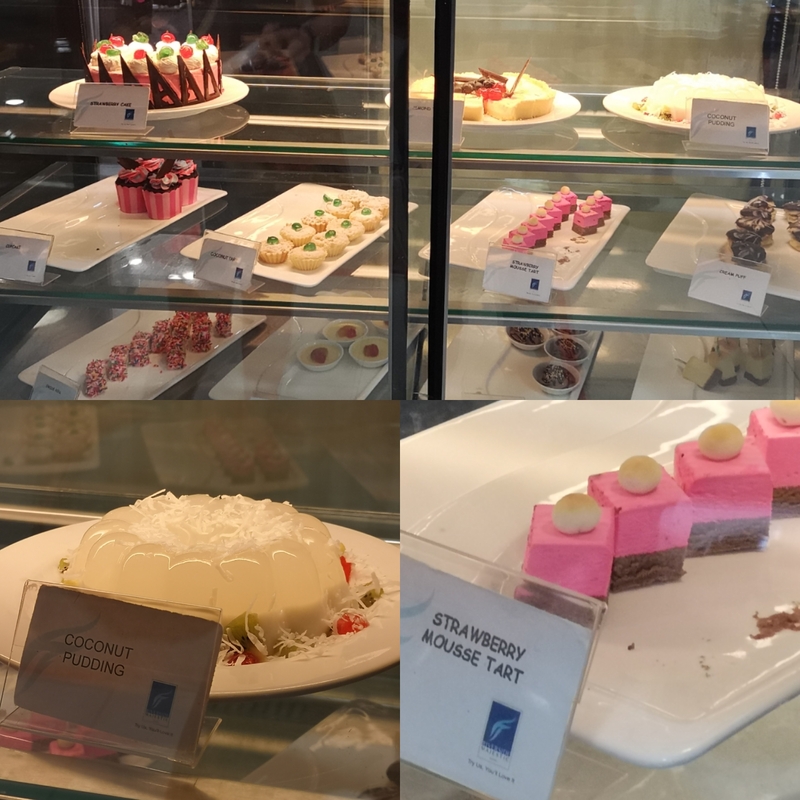 Sporting a fresh and contemporary feel with several live cooking station such as Pasta, Noodle and Frying Station, the culinary team under the stewardship of Chef Suria whip up your orders on the spot. Well-known for its extensive buffet offering, you can find the freshest selection of fish, crab, prawn, lamb shoulder and sliced beef at the Grill Station. 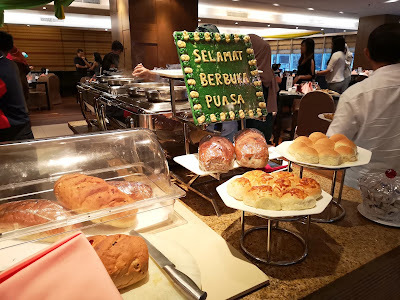 Bubur Lambuk, Bubur Pedas, assorted dates and a selection of homemade and local breads are part of the daily menu. 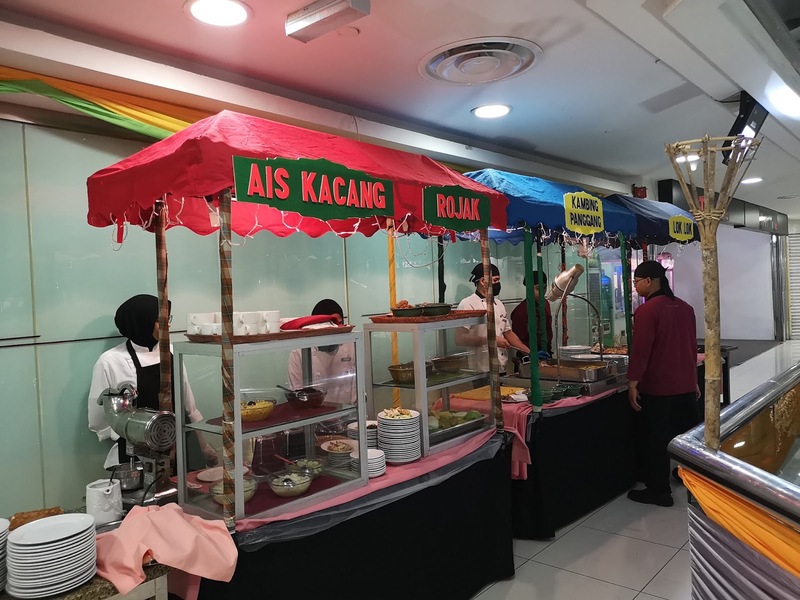 Tantalise your taste buds with the dishes from action stalls offering Rojak Buah, Rojak Sotong, Rojak Singapore, Laksa Sarawak, Belacan Noodle, assorted Sushi and Maki, Coconut Chutney, Roti Canai, Murtabak Laksa Kolok, Lok-Lok, Yong Tau Fu, Char Kuey Tiaw, Mee Kolok, assorted Dim Sum, assorted traditional Malay kuih, beverages and desserts. My favourite dish would be the Mee Jawa. 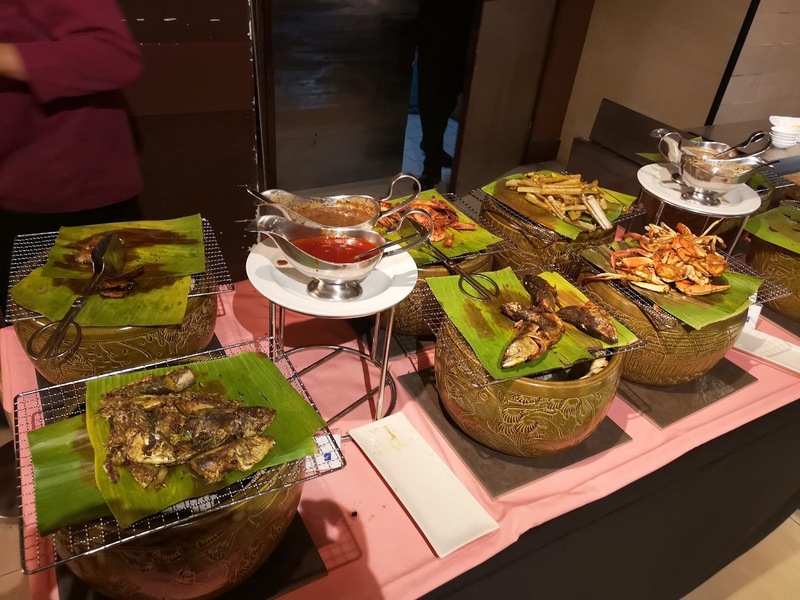 An array of local ulam-ulaman also served with a selection of sambal like Sambal Belacan, Sambal Hijau, Sambal Mangga and Sambal Tempoyak. A varieties of kerabu such as Kerabu Hati Ayam, Kerabu Pucuk Ubi, Kerabu Daun Selon and Kerabu Lumek, are served as appetisers alongside the wide selection of fresh salads. 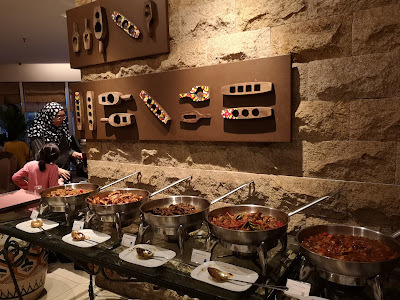 At carving station, this buffet serves Roasted Lamb, Briyani Rice, Tomato Rice, Nasi Minyak, Nasi Bokhari, Nasi Hujan Panas and Acar. 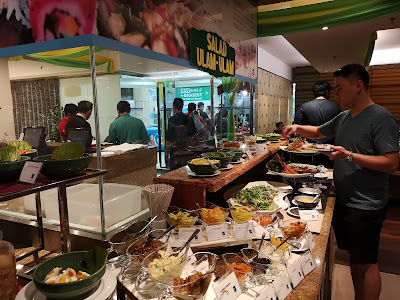 On the buffet itself, it serves dishes like Soup Terung Asam, Daging Salai Berempah, Ayam Bergajus, Sayur Rampai Cendawan, Daging Dendeng, Udang Goreng Petai, Ketam Lemak Nenas, Kambing Goreng Berempah, Soto Madura, Rendang Daging Minang, Ambal Bercili, Ayam Bakar Sos Cili Pedas, Daging Rusuk Masak Merah, Umbut Masak Lemak, Kambing Panggang Lada Hitam, Ikan Siakap Kukus Teo Chew, Ikan Keli Masak Tempoyak and Japanese Tofu with Minced Chicken. For Muslim guests’ convenience, Riverside Majestic Hotel also provides designated male and female prayer rooms and a section for wuduk. For reservations, please contact the hotel’s F&B Department at +6082532222 extension 8842. For the latest F&B promotions and entertainment news at Riverside Majestic Hotel, visit www.facebook.com/riversidemajestic. For more information about Riverside Majestic Hotel visit http://www.riversidemajestic.com. 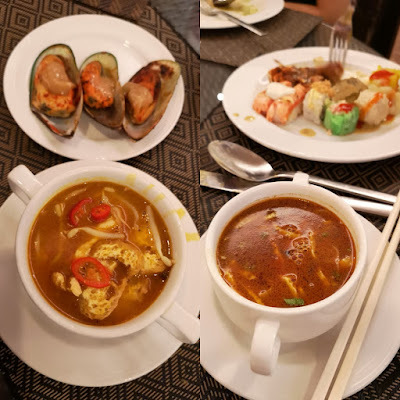 Thank you Riverside Majestic Hotel for inviting Sarawak Bloggers Society to the Sungkei Ria Ramadhan Buffet at the Café Majestic Coffee House.